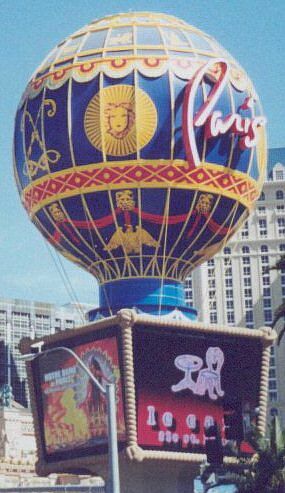 PARIS CASINO RESORT was opened in 1999. 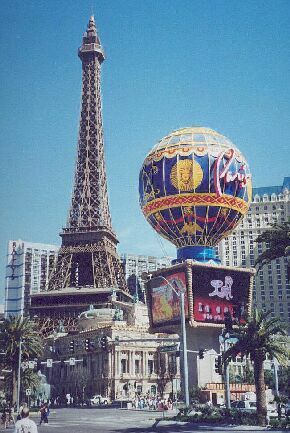 It is located on the Las Vegas Strip across from the Bellagio and next door to the Aladdin (south) and Bally's (north). The site contains authentic replicas of some French landmarks - the Eiffel tower and Arc de Triomphe. The lobby is modeled after the Palace of Versailles, with its crystal chandeliers and plush seats. The 34 story hotel tower is modeled after the Hotel de Ville. Facades of the Louvre and the Paris Opera House are also incorporated into the design. The Louvre is on the northwest corner of the casino front. 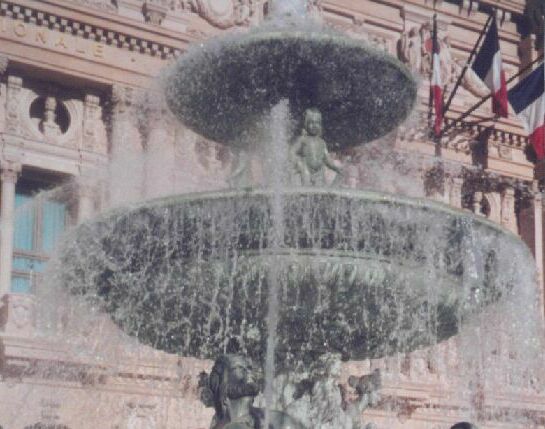 The facade has five statues of French historical figures. The tower is 540 ft. high. and is about half the size of the original. A ride to the top of the tower in a glass elevator costs $9 for adults, $7 for over 65, and $7 for 6-12 years; under 6 years is free. There is an observation deck at 460 ft. with a great view of Las Vegas - the Monte Carlo, Luxor, Mandalay Bay and Aladdin to the south. The Bellagio is west and the mountains are east. You can dine in a gourmet restaurant 100 feet above the Strip. 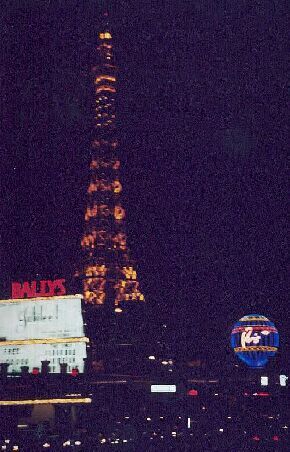 Three of the four legs of the Eiffel tower rise up from the floor of the casino. The casino is divided into Metro train stations and is surrounded by street scenes of Paris. Continue through the casino and you will reach the shopping and dining area at the back. Le Boulevard is cobblestoned streets with a gallery, Paris-style restaurants and small shops. Enjoy the wonderful smells of the eateries as you stroll down the streets. 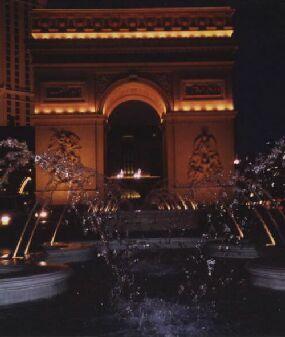 The Arc de Triomphe is adjacent to the resort. It is two-thirds the size of the original and also an exact replica.